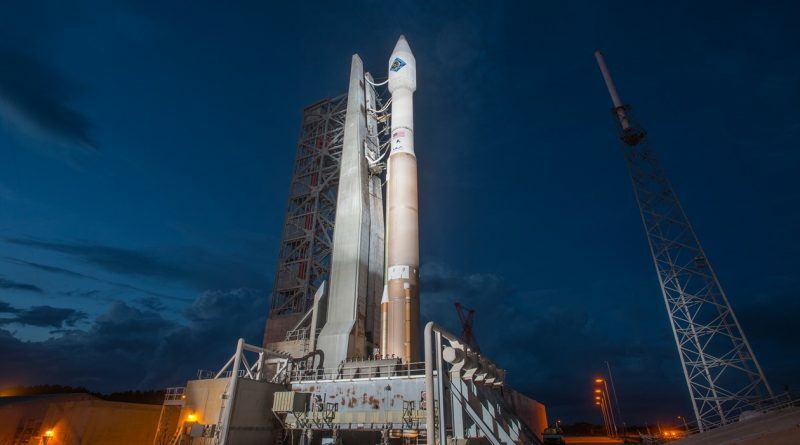 Returning after Thursday and Friday’s delays due to weather, the United Launch Alliance launch team again headed into countdown operations seven and a half hours prior to the opening of the day’s 30-minute window. 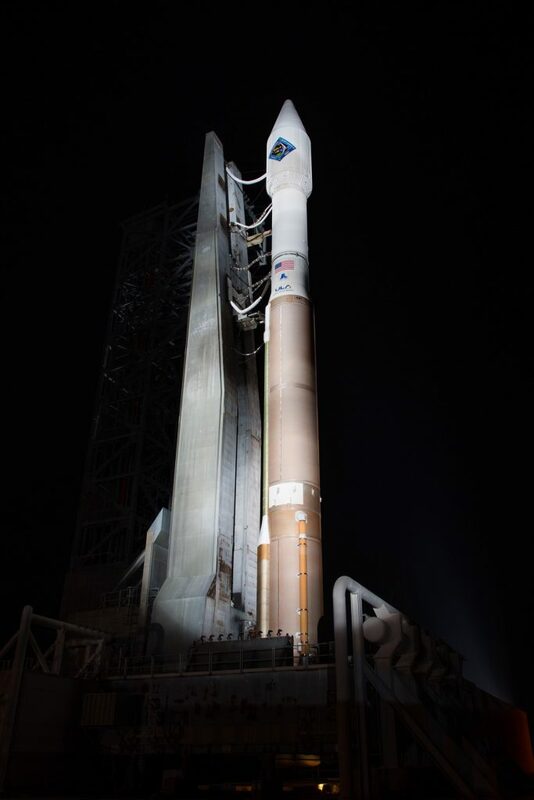 Teams fell behind schedule when clocks had to hold at T-4 hours and 25 minutes due to an electrical problem that prevented the activation of the rocket’s Common Core Booster. While troubleshooting was in progress, the remaining hold time in the countdown approached expiration and teams decided to resume the count and continue working the issue. Another hold was inserted later, consuming 20 minutes of the day’s launch window and leaving the countdown with a total available hold time of 10 minutes. The launch team and all managers signed off on the shortened hold time, moving the launch to the last available T-0 target of the day at 22:33 UTC because the closing slot of the window at 22:40 was not available due to a collision cut-out. Inside L-4 hours, the decision was made to abandon the countdown due to high winds that were not expected to calm down for the rest of the countdown. Backing out of the countdown prior to fueling protects the team for a launch opportunity on Sunday that would not have been possible for crew rest reasons had the team gone deep in Saturday’s countdown operation. Sunday’s 30-minute launch window opens at 21:44:56 UTC and meteorologists are predicting a 40% chance of cooperative weather. The front that had been the focus of the past several days will shift north but remain clear of Central Florida, though the pressure gradient in the area will continue to bring east-northeasterly winds with gusts to the mid-20-knot range. Winds may die down in the afternoon and evening, but the timing will be hard to predict. Therefore, high ground winds and cumulus clouds will be the main concerns for Sunday. In case Cygnus gets off the pad on Sunday, the spacecraft will make its rendezvous with the International Space Station on Wednesday. Should the launch slip to Monday or beyond, Cygnus is facing a traffic jam in orbit and will have to loiter in an independent orbit for a period of days before a clear slot in the Station’s visiting vehicle schedule comes up. Soyuz TMA-17M is set for its return to Earth on Friday to bring Oleg Kononenko, Kimiya Yui and Kjell Lindgren back to Earth after their long-duration mission. The next Soyuz will be inbound on the 15/16th of December, carrying Yuri Malenchenko, Tim Peake and Tim Kopra to ISS for Expedition 46/47. After the crew exchange, ISS is set for a Progress rotation with Progress M-28M undocking on the 19th and Progress MS launching on the 21st for docking two days later. An Atlas V launch attempt on Monday is currently showing 70% odds of favorable weather as winds decrease and the front lifts.